(John 13:14) If I then, your Lord and Master, have washed your feet; ye also ought to wash one another's feet. (John 13:15) For I have given you an example, that ye should do as I have done to you. Markers- and items to use to decorate the sandals. Use the pattern to cut a scandal from cardboard, card stock, art foam or any other suitable material. Carefully cut along the dashed lines. Be certain not to cut all the way through to the outer edge, because this will form the strap of the scandal. You may want to have this part started for the children. 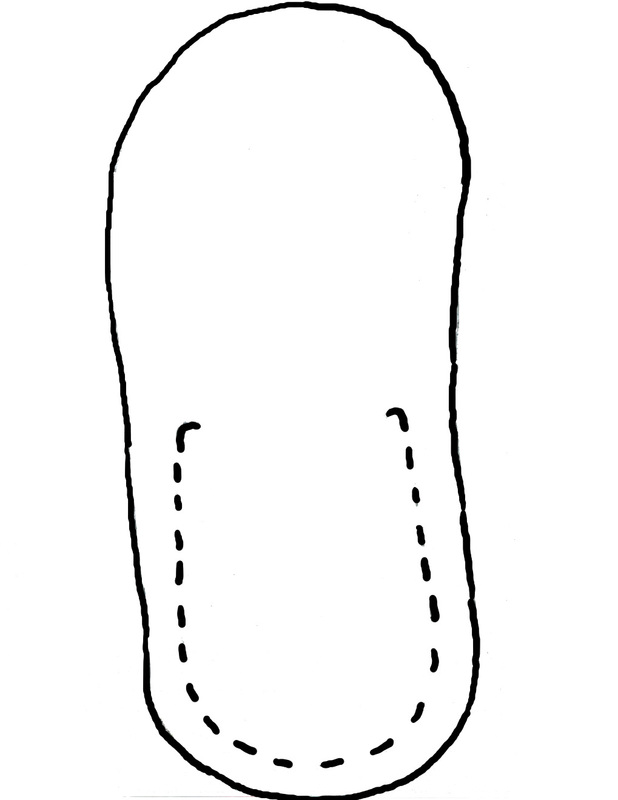 Bend the strap forward to about 1 ½ inches from the top edge. Staple the strap in the center to fasten it to the sole of the scandal. Decorate your scandal or write a Bible verse on the strap. If time permits, let the children make a second scandal. Make this craft to go along with the Flip Flop Lesson we have.